Here is a Wirt vest pen in BCHR. The black hard rubber is still very black with hardly if any fading. The chasing looks great as well. There is no brassing of the nickel trim. 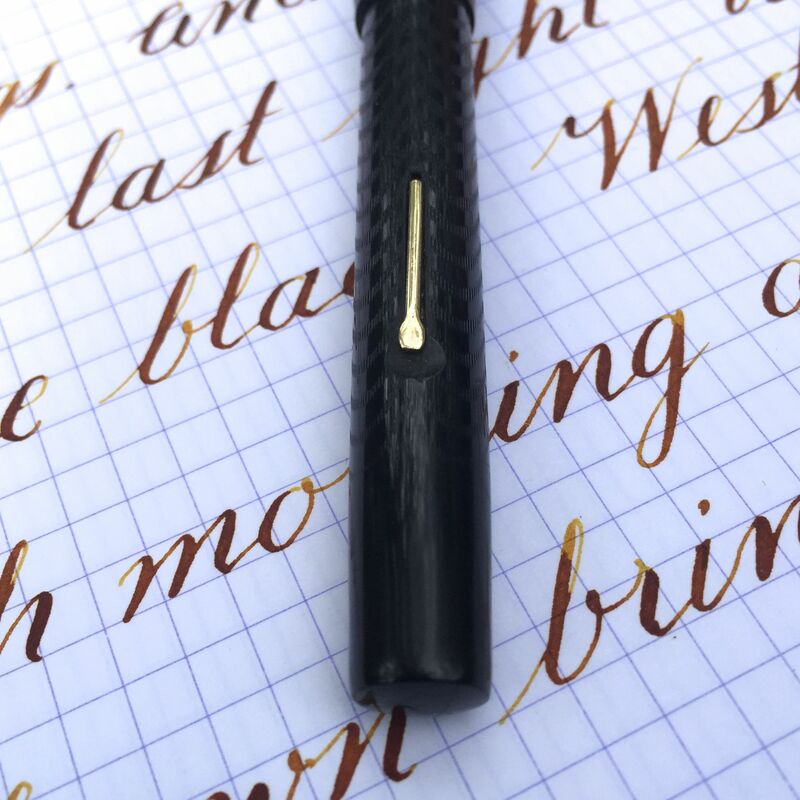 The pen is in really nice condition. There are some deeper scratches around the section where someone probably used their teeth or a tool to get the section out. The 14kt. 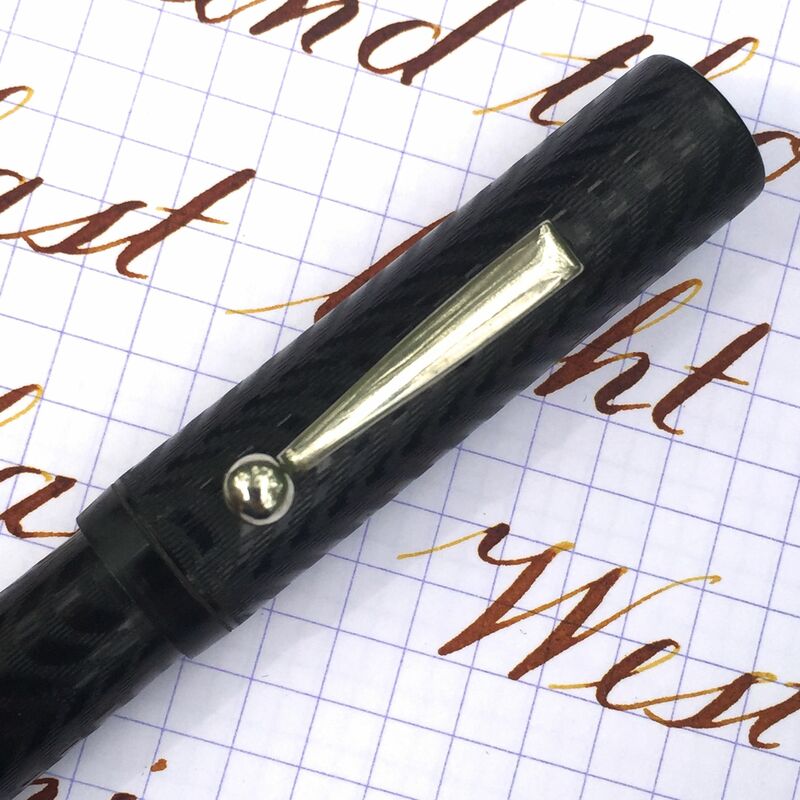 Wirt nib has the breather hole in the feed so that it looks like a dip nib. There is a very slight crease up on the tines. 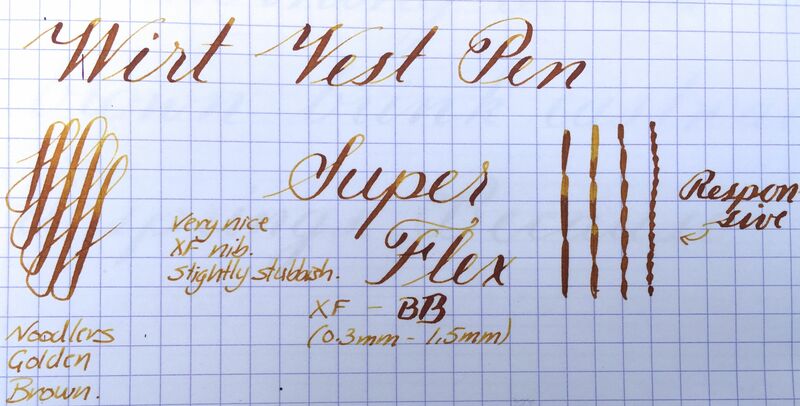 The nib may have been slightly sprung at some point. 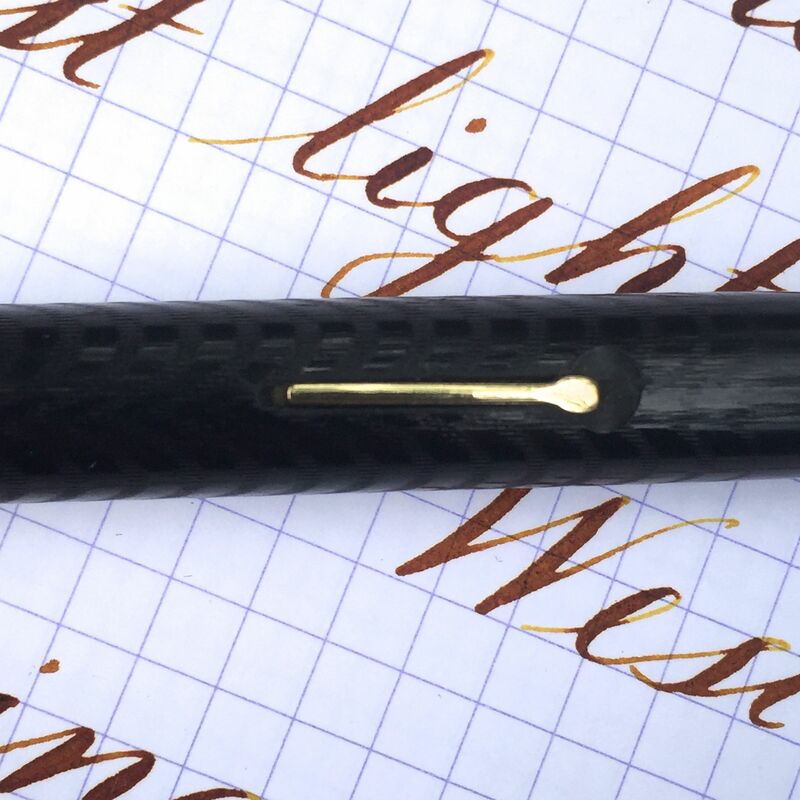 However, the nib seems to retain its shape just fine, and I imagine will continue to do so so long as it is not over flexed. 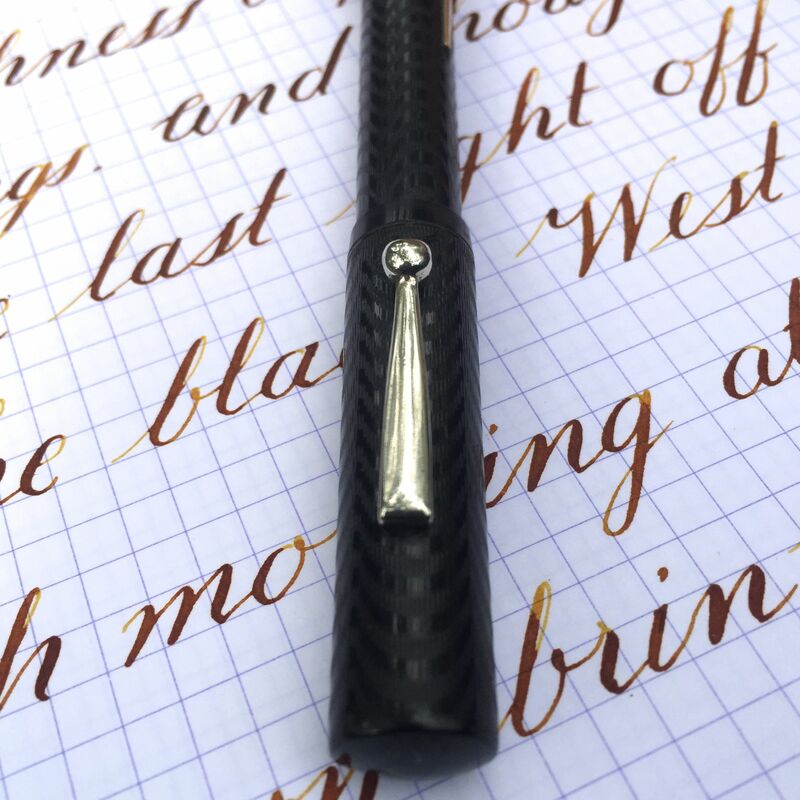 The flex range on this nib is not immense going from XF to BB (0.3mm – 1.5mm), but it has fantastic snap back and the flex comes quite easily. 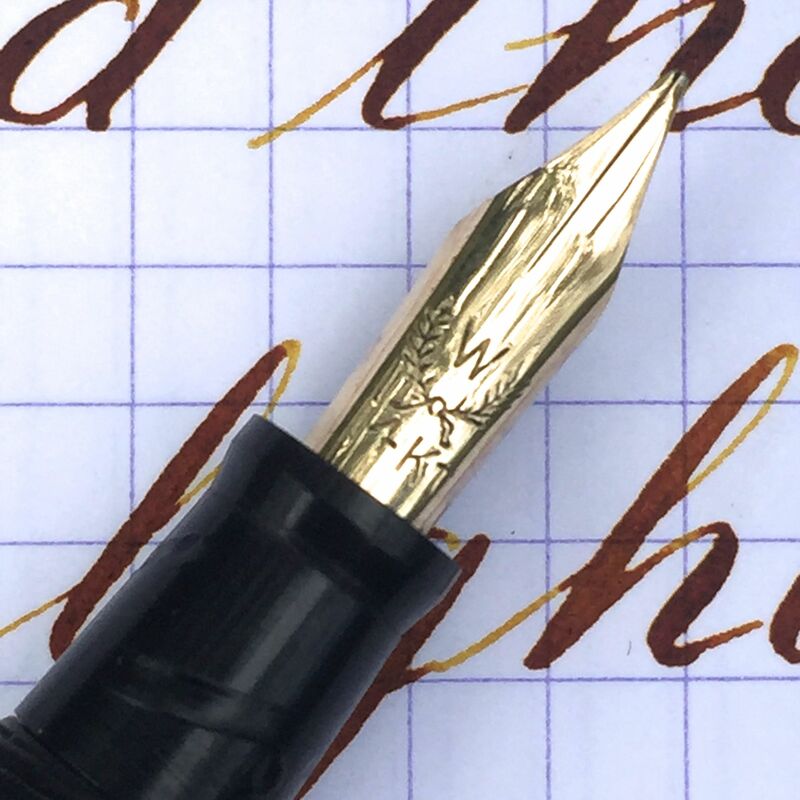 I love the way this nib writes. It has that vintage slightly stubbish nature to it that gives even XF writing some character. 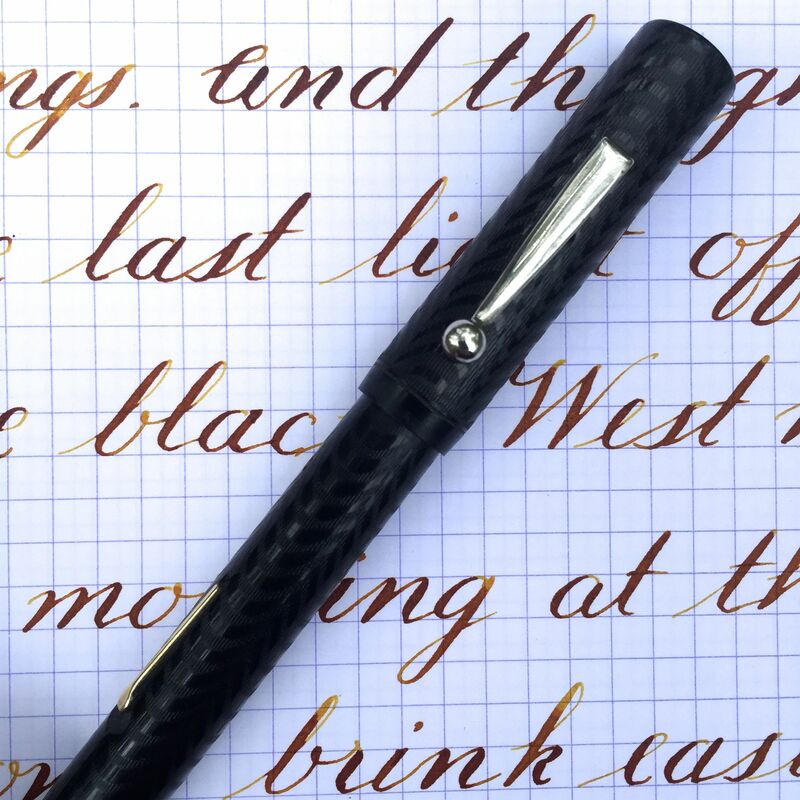 Even for just normal writing, this nib is a soft, smooth superb writer.